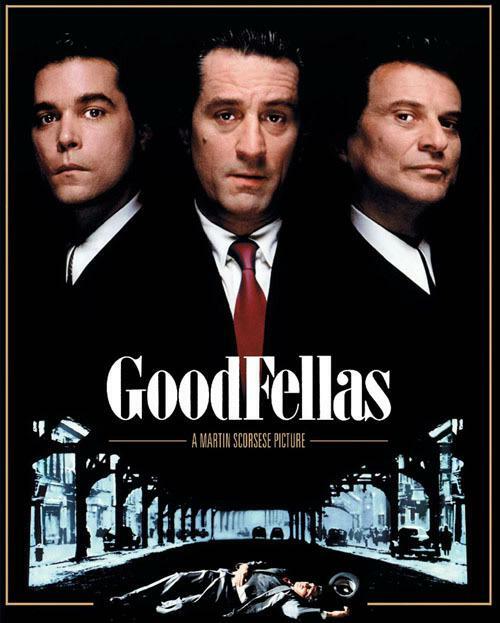 With the death of ex-gangster Henry Hill this past Tuesday, June 12 from a heart attack, I felt it appropriate to review the feature-length film that was based on the infamous mobster's life: "Goodfellas." Although Hill was a convicted criminal with a history of drug trafficking, extortion, bribery, and murder – Ray Liotta's portrayal of Hill in "Goodfellas" – made Hill an iconic member of organized crime history. "Goodfellas" is based on the novel, "Wiseguy" by Nicholas Pileggi. In "Wiseguys", Pileggi tells the unbelievable life story of Henry Hill, a man who rose to incredible heights with the Lucchese crime family in the '60s and '70s. As a journalist, Peliggi extracted accounts from Hill himself, creating a novel that got the attention of acclaimed director Martin Scorsese. Starring Ray Liotta, Robert DeNiro, and Joe Pesci, "Goodfellas" is a collaboration of some of the most talented actors in film and one of the most talented and highly praised directors in all of cinema, Scorsese – creator of such fascinating works as "Taxi Driver", "Cape Fear" and "Casino," all of which include DeNiro. Still not convinced you need to see "Goodfellas"? Fudgetaboutit. "Goodfellas" follows Henry Hill (Liotta) and his time spent with the mafia in Brooklyn, N.Y. alongside smooth talker Jimmy Conway (DeNiro), and wild man Tommy DeVito (Pesci). From making salami sandwiches and 7 and 7's for the older mobsters as a young kid to eventually distributing cocaine and digging shallow graves, the story of Hill's life is one of unsurpassable risks and thrills. Scorsese is known across the board as a cinematic genius, and rightfully so. His eye for manipulating lighting, using lengthy steady shots and constant camera panning remains his trademark to this day. "Goodfellas" is no exception. The fast paced mobster lifestyle is captured stylishly in steady camera shots lasting upwards to 4 minutes. As Hill takes his lover, Karen (Lorraine Bracco) out on their first date, the camera follows the pair all the way from the parking lot, through the back of the restaurant, past the kitchen, ahead of the line of waiting patrons, and right to the best seat in the house. Just one example of the fantastically raw and realistic direction Scorsese produces throughout "Goodfellas." Let's not forget about the star of "Goodfellas" as well, Liotta. As an avid fan of his work, I have seen 20 of the films Liotta has acted in, and I feel very confident in claiming "Goodfellas" to be some his best work thus far. Liotta wears the mobster persona all too well; I wouldn't be surprised if he knew a few "Wiseguys" in real life. With a menacing laugh and intimidating glare, Liotta is Henry Hill. Even after seeing "Goodfellas" at least a half of a dozen times, I find myself entranced with Liotta's performance. He struts around the streets of New York like he owns them. Exquisite Italian suit, gold cufflinks, and shoes so shinny you could see your own reflection in them, are typical of Liotta's character. Even the way he smokes his Marlboros looks cool and stylish. You almost can't help but idolize Hill, a man who took what he wanted, and if anyone complained, "…they got hit so bad, they never complained again," as Hill explains in the movie. Last but not least is "Goodfellas" monologue. Throughout the entirety of the film, Hill provides an enthralling narration of event. We even get an insider's perspective into Hills' thought process and feelings as he carries on his mobster lifestyle. A good portion of the characters and events are explained by Hill in his monologues, creating a strong connection between the audience and himself. It is as though the audience finds themself experiencing "Goodfellas" directly through Hill. "Goodfellas" is considered by The American Film institute to be the second best in the gangster film genre, directed behind "The Godfather." Pesci won an Academy Award for Best Supporting Actor in "Goodfellas," and the film went on to influence David Lynch in his creation of the HBO series "The Sopranos." In a simple conclusion, "Goodfellas" is amazing. In my little time studying film theory, I have found that the three most important parts of any movie include the story, the acting, and the directing. Without all three working together, the movie will fall apart. Very rarely does a film hit the nail on all three requirements, but "Goodfellas" is the stunning example. - Scorsese creates a masterpiece, with beautiful visuals, and engrossing cinematography. - Ray Liotta is fantastic as mobster Henry Hill. - "Goodfellas" monologue will draw you into the mind of a Luchesse crime family member. - The violence and language may be too much for some viewers.